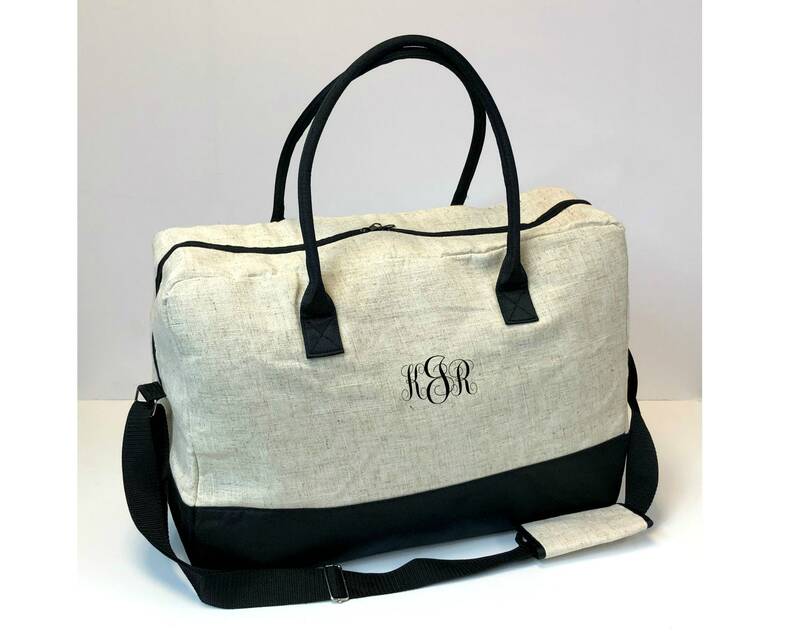 Travel in style with this Linen Duffel Bag! 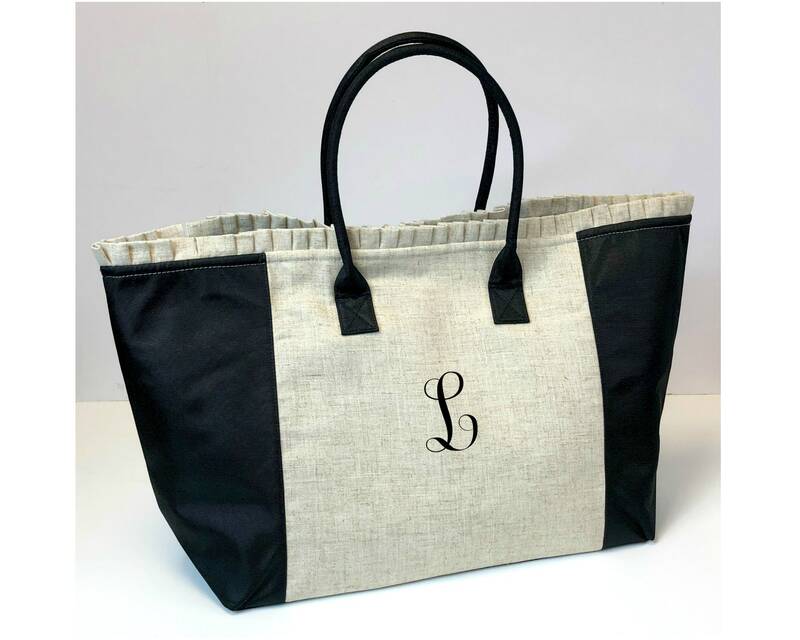 Features linen fabric, moire accents, and an adjustable strap that is also removable. Nylon lining. 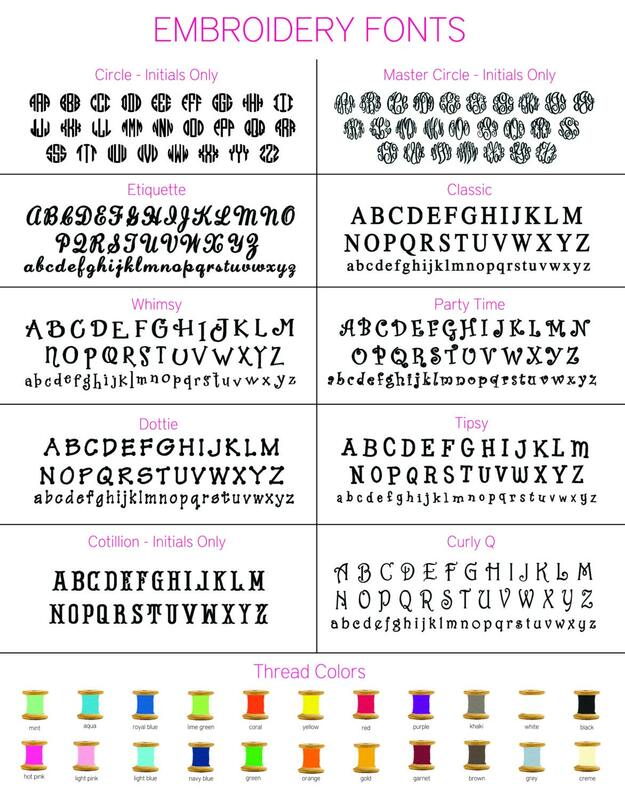 Looks gorgeous with a monogram in the center--and it's included! 22" x 15" x 10". Handles add an 8" drop.